August 19, 2015 by Anna F.
Rafael Rojas – No excuse success! Rafael Rojas is a genuine case of zero to hero story in Melaleuca multi-level marketing business. Rojas has tasted both sides of the coin in life. His inspiring story has motivated thousands to take that important and urgent step towards their financial freedom. If you are planning to start any type of business or you have an mlm business that is struggling, then Rojas’s story is definitely what you need for your success! My friend, Rojas had had it rough in network marketing business. His shortcomings have not hindered him from leaving a legacy in Melaleuca network marketing business. Rafael has been able to make millions in a foreign country, without even knowing their language, culture, and people well. Rafael Rojas worked his way up from being a dishwasher in a restaurant to owning one, under his name. As if that is not enough, Rafael made millions in the challenging multi-level marketing industry, barely knowing how to speak English. How he used to market the Melaleuca products and enrolled individuals in his down line is still a miracle to majority of his fans! Rafael and his wife, Monica Rojas, are currently living their dream life, without question. They are mlm top earners in Melaleuca and are self-made multi-millionaires by right. The family has all the time they need and their bank accounts have more than what they can accommodate. They currently earn recurring commissions worth $200,000 per month and a whopping $2,400,000 USD per year. Note: This is strictly a passive income from their Melaleuca businesses that are spread in more than 17 countries in the world, including Mexico and the United States of America. Here is their background and humbling story to multilevel marketing stardom, which you can replicate! 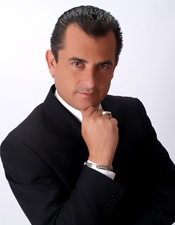 Rafael Rojas is popularly known as a multi-level marketing millionaire from Mexico. He is married to Monica Rojas and they have been blessed with three daughters; Andrea, Ashley, and Alexa. Andrea is the family’s first born daughter, popularly known as the family athlete. She has her father’s determination and adores soccer just like her dad. Ashley is the second born in this family of five. She is the girly girl in the family; according to her mother and loves jewelries and makeup. You will always find her with a purse wherever she goes, even if it is unnecessary. Alexa on the other hand, is the last born in the Rojas’ multi-millionaire family. She is a very peaceful girl whose parents adore so much. Her mother says that she is an angel in their family! Rafael Rojas was born and raised in Mexico, before he relocated to the United States of America; chasing the popular American dream. Rafael Rojas of Melaleuca has lived in several cities in Mexico and in the United States of America. Some of the published places he had lived include Acapulco, Mexico, and El Paso, Texas in the United States of America. The Rojas’ have suffered for the better part of their lives, but are now living their dream life, which is of course free from debt. Rafael Rojas and his wife, Monica, joined Melaleuca in February 2005. Since then, they have built their business with such passion and commitment that they have been recognized as the fastest growing marketing executives of all time in Melaleuca, Inc. The family is not only successful in mlms business but has also helped thousands of people build their businesses and overcome their personal developmental barriers. The Rojases believe that anything and everything is possible in Melaleuca Business! It is quite obvious that Rafael Rojas and his wife, Monica Rojas, are one of the most successful couple in Melaleuca Company! Although, this is true, the family is yet to forget the financial constraints and struggle they went through to be where they are today. Rafael Rojas was a ‘nobody’, and knew no one when he immigrated to the United States of America. He had to start from scratch, struggling to survive by doing odd jobs here and there. Rafael came to the United States in search of the American dream just like many other immigrants, but things were not that easy on his part. Rafael had to take two jobs that paid peanuts just to enable him pay his bills. He remembers one time living with 11 other immigrants in a single one bedroom apartment. That is rough, but luckily, he did not give up! Rojas worked as a dishwasher and a cook in a restaurant for five years. His desire to search for a better job eventually led him into the multilevel marketing industry. Rafael Rojas was constantly in and out of network marketing businesses for over 15 years. It was during this time that Rojas came to discover that almost all mlm business were built in falsehood and empty promises. It was also during this period that Rafael Rojas got married to Monica and continued to struggle as a family. It was a period of endless disappointments for the family! For instance, the family would invest in one Mlm Company; earn a couple of dollars a month, only for the company to crumble and losing all their hard earned cash. When Rafael Rojas got married, they used to live in Acapulo Mexico. The family had a beautiful home with two cars and a condo in the beach. Suddenly, the MLM business they relied for their livelihood collapsed. The family lost everything and it was at the same time that Monica Rojas discovered that she was pregnant. Rafael and Monica Rojas were so shaken from their losses that they were uncertain of their future, considering they were expecting their first born child. The family opted to move to a very small apartment in El Paso, Texas. Rafael Rojas was in deep financial distress and never had enough to satisfy his family. Monica remembers having a lot of cravings due to her pregnancy, but could not afford even a hamburger. She had to ignore all of them because there was nothing she could have done. Andrea, their first born, was born at the wake of financial challenges. The millionaire you see today had to sell their TV and all other relatively expensive things they owned for pennies, so as to cater for his wife’s hospital bill. Then a break came when Rafael once earned $100 from one mlm business. He says that it was one of the sweetest and most memorable $100 dollars he has ever earned in his life. The family however, spent all the money to buy diapers and some few basic necessities for their new born child. Rafael Rojas says that that was one of the most challenging times of his life, but they thank God for letting them know the value of money. The Rojases family was so frustrated with the multi-level marketing industry that they decided to abandon it altogether. Rafael Rojas used the little money they had saved to start a restaurant in Mexico. It is while in his restaurant business that Rafael remembered a business proposition he had been given five years ago by one of Melaleuca’s Corporate Director II by the name of Jeff Miller. Rafael Rojas immediately contacted Jeff and some of his friends and arranged a meeting with him. It is in this meeting that Jeff presented the Melaleuca business model to them. They were so amused and excited about the Melaleuca business opportunity that they decided to join, without wasting time. Many people think that Rafael and Monica bought a Melaleuca business with a number of executive distributors. Rafael Rojas, however, refutes the claims because they had to build their melaleuca multi-level marketing business from scratch. In fact, their ears ached during their first month in melaleuca, due to the multiple phone calls they were making. Rafael Rojas and his wife Monica shared their Melaleuca products and business plan with their friends and neighbors. Their hard work paid off as they achieved the senior Director II rank, earning $28,130 within their first month. This achievement built their trust and commitment in Melaleuca. Rafael Rojas had a debt of $62,000 when they first joined Melaleuca. Their car and home belonged to the bank. It is after earning their first Melaleuca paycheck that the family at least started feeling a sense of financial security in their lives. Rafael Rojas remembers paying a hefty $5,000 debt for the first time in his life. In fact, he was sweating because he had never written such a big check in his life. The family had previously been paying very small amounts of money to their debts, which remained the same to their utter surprise. The family then followed Dave Ramsey’s book called “The Total Money Makeover” to pay all their other debts. Rafael Rojas says that the most important thing they learned from that book is being passionate about paying your debt, if you ever want to be debt free. They found this to be only possible by setting a goal of working towards freeing yourself from debt. They have finally discovered that living debt free is a very amazing feeling. The family’s paychecks from Melaleuca continued to grow day by day as time went by. The family paid all their debts remaining with only their mortgage. 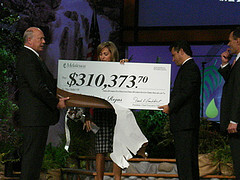 The family then received a check of $310,373, as a bonus for achieving the Corporate Director status in Melaleuca. Mr. Rafael thought about using the cash to buy his dream Yacht, but Melaleuca’s founder and CEO, Frank L. VanderSloot, advised him to use the money to first clear all his debts. That is how Rafael Rojas cleared the remaining debt on their Mortgage and achieved their total financial freedom while on their trip to Tahiti. 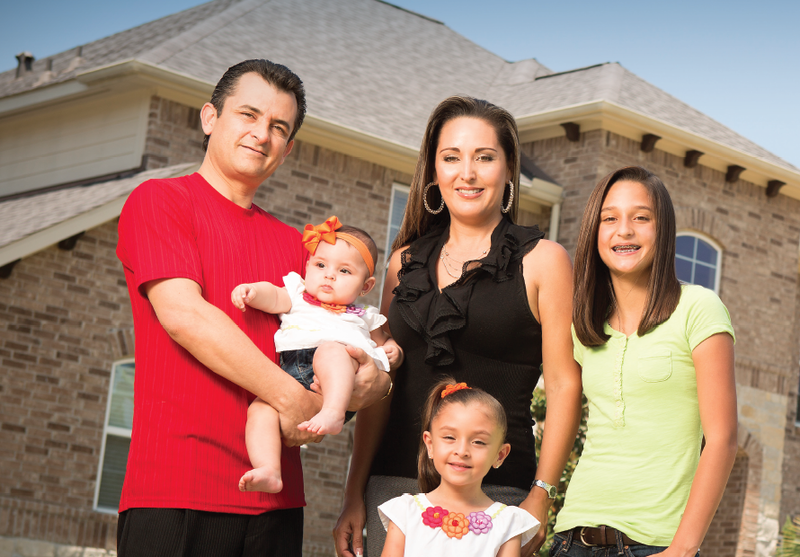 With all the debt paid, the Rojas suddenly felt a sense of relief and excitement in their home. They started to have and buy anything they ever dreamed of and their life was suddenly full of fun! Rafael Rojas achieved the Corporate Director V achievement on June 2009. Since then, he did what he calls a grievous mistake in his entire Melaleuca career by seating back and enjoying life while not even following on his down line. This let them slide and made Rafael Rojas become a trainer rather than a builder he had been. Rafael learned from this mistake and changed almost immediately for the better. Today, the Rojases have achieved what nobody has ever achieved in Melaleuca mlm business. Their strongest motivation has been taking all their challenges positively and achieving their dreams while enhancing the lives of other people. There advice to anybody starting out in business is to learn a way to overcome obstacles and forever keep moving forward. Rafael Rojas says that success is so sweet because it is hard to achieve. If people achieve success that easily, then it will never be that sweet as it is to them. Rafael Rojas and his wife, Monica Rojas, have created and broken several histories in Melaleuca multi-level marketing business. They have severally been honored as one of the fastest advancing Melaleuca executive distributors and one of the most influential directors in Melaleuca business. Rafael Rojas and his wife have so far achieved it all in Melaleuca network marketing. They were among the first couple in Melaleuca to advance to the position of Corporate Director within 30 days after registering themselves in Melaleuca. From there on they have achieved Corporate Director I, II, III, IV, V and VI within the shortest period of time in the history of Melaleuca network marketing business. The family is a living testimony that everything is possible, both in entrepreneurship and in multi-level marketing. Rafael Rojas and Monica Rojas are in the top 50 list of the mlm top earners in multi level marketing in the world, and are one of the top mlm earners in Melaleuca business. Melaleuca, Inc. is a health and wellness multi level marketing company that manufactures and distributes environmentally friendly personal care products, nutritional supplements and cleaning supplies. Melaleuca was founded by Frank VanderSloot in 1985. Mr. VanderSloot is the founder and the Chief executive officer of Melaleuca Inc up to now. Melaleuca, Inc is an international wellness company that has its headquarters in Idaho Falls and others in Knoxville Tennessee in the United States of America. Melaleuca Product Distribution Method is that customers buy Melaleuca products directly from the Company’s website or from various retail locations all over the world. Melaleuca’s independent marketing executives; as they call them, receive both one time and recurring commissions from the company. The commissions are either for every purchase made by the people they have referred to the company, or the people their referrals refer in their seven referral generations plan. Melaleuca Inc refers their referral arrangement as the Consumer Direct Marketing, which is the company’s trademarked term. Melaleuca Inc. has been included in the list of the United States of America’s 500 fastest growing private companies, consecutively from 1990 to 1994. The Inc. Magazine included Melaleuca Company in its hall of fame list in 1994, as one of the most promising private company in USA. The Melaleuca Inc enjoyed significant growth in the international market until 1998, when its sales volume flattened. Melaleuca’s founder and CEO, Frank VanderSloot, went to the market to see the cause of the diminishing growth in business. VanderSloot discovered that some top independent distributors and executive members had totally stopped recruiting new people into their down line and are just there living on their residual commissions. VanderSloot, therefore, went back to the drawing board and devised new policies that reduced the earnings of independent distributors, who either did not bring in new recruits in the company or those whose recruits does not enroll new customers into their businesses. The new policy kept everybody on their toes, leading to the company to regain their former glory in network marketing. By 2004, Melaleuca’s revenues were growing at a compounded interest rate of 12% per year. The company now operates in various international locations in the world. The Melaleuca Inc’s international market contributes to approximately 25% of the company’s total revenue. Melaleuca Inc released a report that showed the world their success and market command in various places. For instance, the report showed that one of every sixty household in Taiwan purchases Melaleuca products every month. The report also indicated that one of every 300 households in US is a Melaleuca Products customer in 2014. The company reported an additional revenue sale of $1 billion USD in 2011 and an additional sale of $1.13 billion USD in 2012. Melaleuca Company has so far employed over 2,000 people in its head offices in Idaho Falls. VanderSloot has established a research and development section in Melaleuca that consist of three PhD chemists. The department initially had 20 staff but the number continues to grow as the company continues diversifying its products. The company now has more than 400 products that it markets in all parts of the world. According to the company, about 23% of its revenue comes from the sale of the company’s products from distributors who were once affiliated with the company, while approximately 62.2 % of the company’s sales come from totally new entrants into the company. VanderSloot says that Melaleuca’s business model is very favorable to those people who want to supplement their monthly income. It is estimated that Melaleuca had a customer base of more than 800,000 people for its nutritional and household products as per the 2011. About 37% of these distributors were marketing executives, while the rest are new customers. Approximately 90% of Melaleuca sales force earns less than $2,100 USD per year. Various reports have also indicated that the average monthly earnings of 72% of Melaleuca sales executives average about $90 per month. VanderSloot says that approximately 190,000 independent distributors receive a monthly check from Melaleuca, of which 20,000 make their main salary from the Company. VanderSloot also says that the earnings of their executive recruits also continue to increase as they continue recruiting more people into Melaleuca. A report released in June 2014, indicated that Melaleuca so far has paid out more than $3.7 billion USD to its independent distributors since 1985. 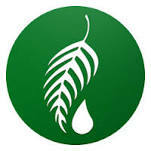 Melaleuca Inc is also a member of the Direct Selling Association in the United States of America. In 2008, Frank VanderSloot became a DSA member in its board of directors. VanderSloot and his wife contributed about $10,000 dollars to the 2012 political Action Committee, commonly known as PAC. Melaleuca, Inc was investigated by the Michigan regulators, The United States Food and Drug Administration, and the Idaho attorney general offices in 1991 and 1997 for a number of pyramid scheme allegations and marketing violations. In 1991 Melaleuca got a desist and cease order from the government of Michigan for violating the State’s pyramid scheme laws. It was until 1992, that Melaleuca signed an agreement with Idaho and Michigan State to cease from engaging in what they termed as Melaleuca Pyramid scheme activities. In September of the same year, Melaleuca was cleared of any associations with pyramid schemes and instead the regulatory bodies blamed the company’s executive distributors. After a lengthy discussion, the Idaho attorney general found Melaleuca innocent, but after analyzing the company’s multi-level marketing policies. Melaleuca, Inc. again locked horns with the government and regulatory authorities, this time around being the United States of America Food and Drug Administration policy. This regulatory body sent them a letter warning the company on some misleading claims about two of its health supplements. So even with all the ups that this company has experienced, it has also experienced a fair share of downs. 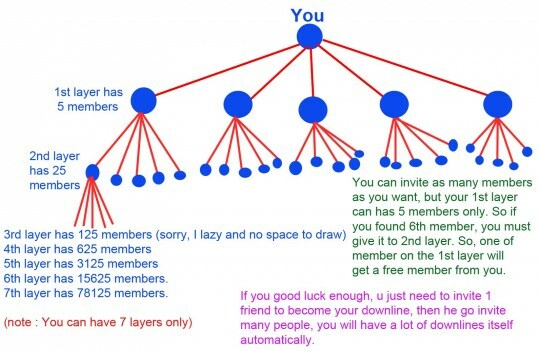 I find it interesting that the MLM dream is sold on such a huge level, but when you look at the numbers, it shows just how difficult it really is to make any kind of real money in this industry. It makes you respect the MLM Top Earners all the more, don’t you think?